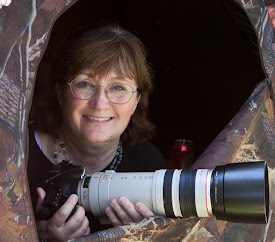 When I was a starting out as a birder, Russ and I were poor college students with little opportunity to travel. He had to present a paper at a scientific meeting in Savannah, Georgia, in June 1976—that was the first time I ever birded outside Michigan, Illinois, and Wisconsin, and I added 26 lifers. But that was it for travel until Christmas Eve in 1978. Russ had an early January meeting in Corpus Christi, Texas, and so we took advantage of Christmas break to mosey down, birding along the way, following directions in two wonderful books, A Birder’s Guide to the Texas Coast and A Birder's Guide to the Rio Grande Valley, both by Jim Lane. I added 46 lifers in all, 39 before Russ’s meeting even started. For the few days of the meeting, we camped at Goose Island State Park, just outside Corpus Christi. Russ needed the car to get back and forth to the meeting, but I was perfectly content to walk about the park those days. 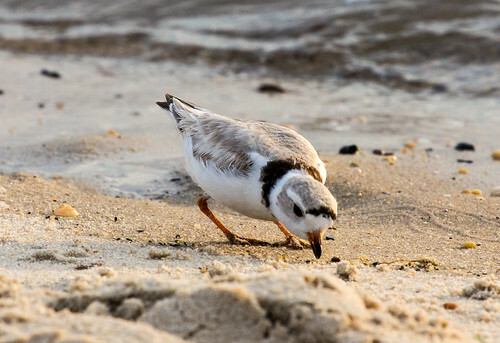 During winter the park wasn’t very heavily used—I ran into hardly any people at all—and it was on the sandy beaches there that I added some of my favorite birds of the entire trip: the Snowy, Piping, and Wilson’s Plovers. Plovers are plump, big-eyed, endearing shorebirds, many with somewhat shorter, slightly thicker bills than most sandpipers. They hunt by sight rather than smell or feel, and their large eyes give them a sweet, innocent appearance, though the invertebrates they feed on don’t appreciate that big-eyed look as much as we humans do. The most abundant plover breeding in our neck of the woods, the Killdeer, nests on disturbed ground in open habitat—our land use patterns are fairly beneficial to it. Other plovers nesting within the Lower-48 are reliant on coastal areas, making them far more vulnerable. Wilson’s Plover nests on sparsely vegetated coastal beaches above high tide, dune areas, and edges of coastal lagoons. 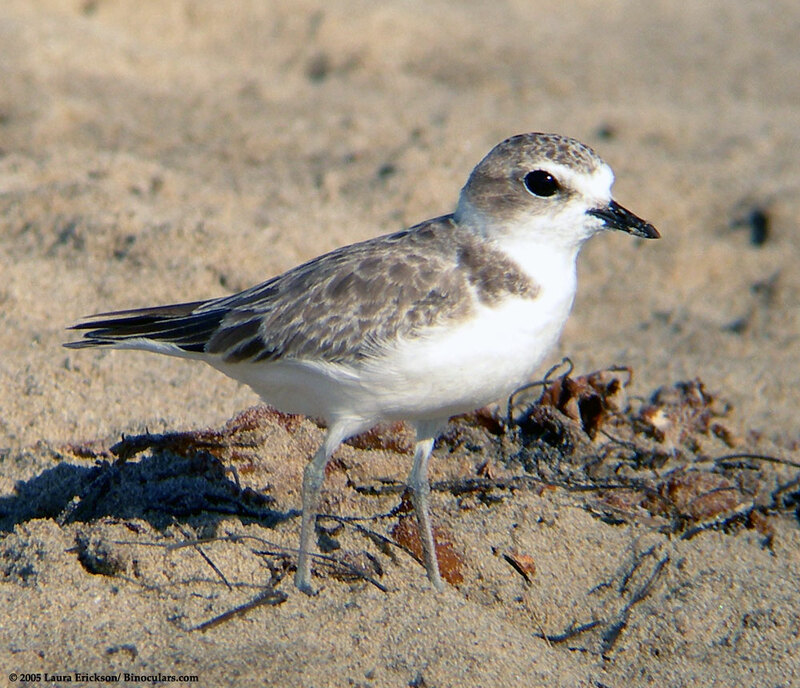 Snowy Plovers nest on sparsely vegetated coastal beaches and shores of inland alkaline lakes. 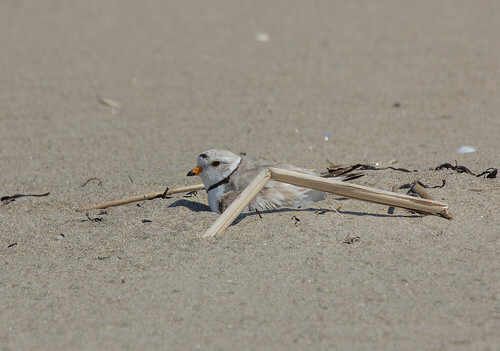 Piping Plovers nest on open beaches, alkali flats, and sand flats. So both Snowy and Piping Plovers can nest both along the Atlantic and Pacific coasts and inland. 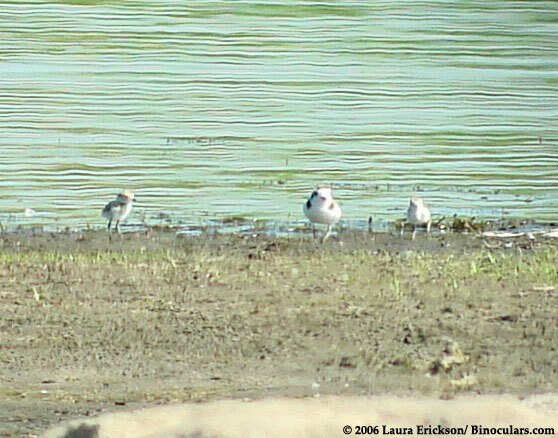 Our first record of Snowy Plovers nesting in Minnesota, at Big Stone National Wildlife Refuge in Lac Qui Parle County, was in July 2006—it’s hard to say whether the species nested there or elsewhere without detection before that. 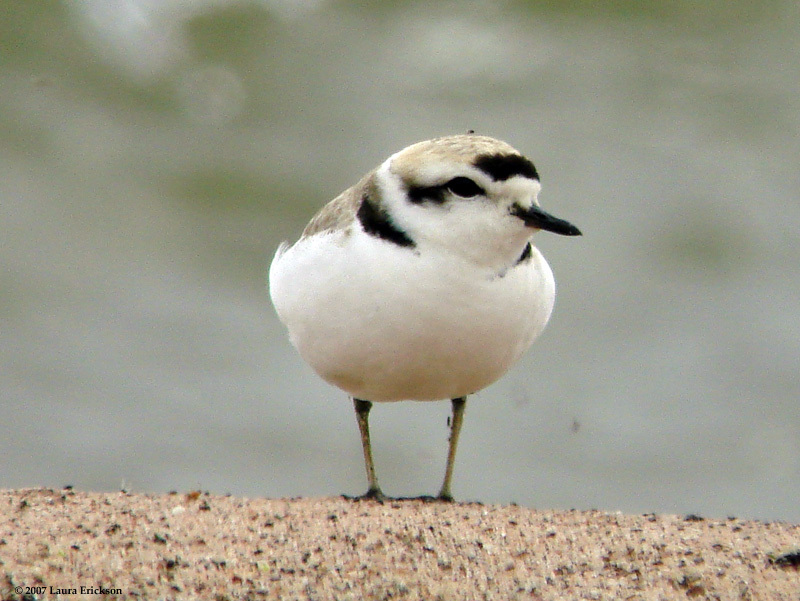 Snowy Plovers also occasionally appear along Lake Superior during migration. 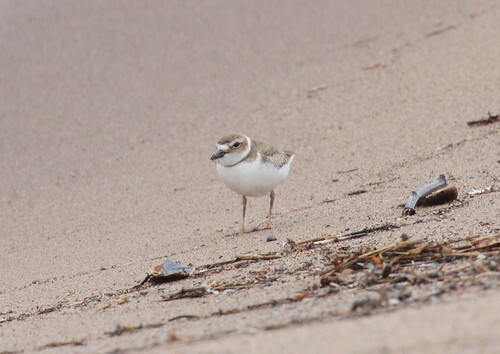 Piping Plovers historically nested here on sand beaches along Lake Superior and on Lake of the Woods. 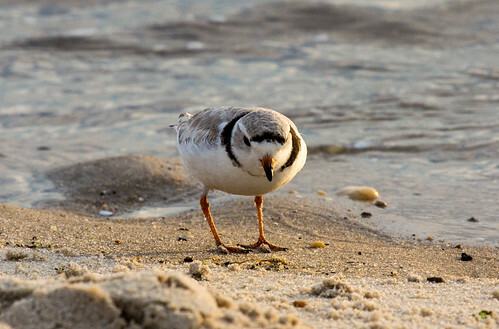 Both Snowy and Piping Plovers are pale—their backs the color of dry sand—and they blend in beautifully. They don’t construct a nest but merely make a scrape in the sand, where they deposit their four cryptically colored eggs. Plovers have broken-wing displays to lead potential predators away from their eggs or young, but no defenses at all against people and dogs running and playing on the beach. Most people don’t mean any harm, but the birds’ cryptic colors work against them when people are playing beach volleyball, running their dogs, cruising in an off-road vehicle or car, or picnicking. Coyotes and wolves virtually never walk along beaches in broad daylight. When dogs do, the poor plovers panic, and may abandon their nests or chicks even if the dogs don’t crush them or pick them up. It takes well over 3 weeks and sometimes more than 4 weeks for the eggs to hatch after incubation begins, and the vulnerable chicks, looking rather like marshmallows on sticks at first, can’t fly until close to four weeks old. Even after they can fly, the chicks depend on their parents, often remaining with them until fall migration. If I was thrilled to see my lifers in Texas, I was just as excited to see a Piping Plover on May 22, 1982, in the Port Terminal in Duluth, where several pairs once nested. 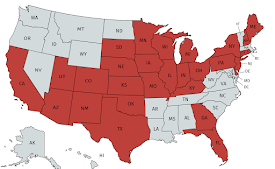 By the time I first saw them here, the Duluth population was already dwindling to virtually nothing, and Minnesota’s Lake Superior population was considered extirpated by the mid-80s. Since then, spotting one during migration makes all the birding hotlines,. Between our large gull population—Ring-billed Gulls eat eggs—and the burgeoning numbers of both residents and tourists crowding the beach for dog walking, picnicking, beach-combing, and birding, nesting in Duluth now seems out of the question. In 2005, I went to an American Ornithologists’ Union meeting in Santa Barbara, for which the biggest highlight for me was a field trip to see nesting Snowy Plovers. The beach where they nest is at Coal Oil Point Reserve, part of the University of California-Santa Barbara Natural Reserve System, and it was thrilling to see how the university and some non-profits were working together to create a safe haven for the lovely birds. Their docent program was at the heart of the project—they trained volunteers from the university, Santa Barbara Audubon Society, the US Fish and Wildlife Service, and the city to guard over the beach throughout daylight hours. Sections of the upper beach where plovers are nesting are roped off. 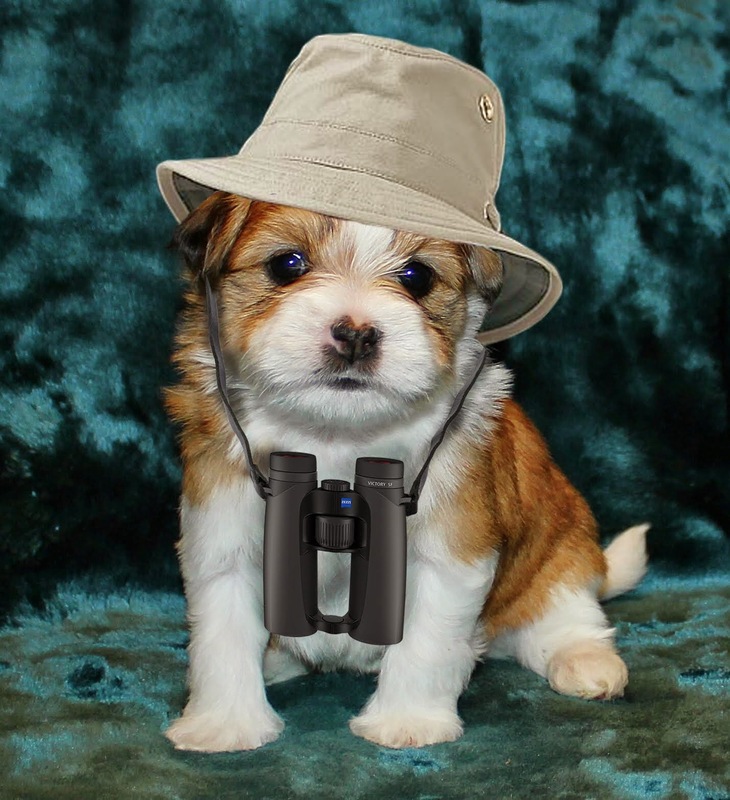 The docents not only enforce dog leash regulations—they serve as ambassadors for the plovers, with spotting scopes trained on the birds to draw people in to how adorable and vulnerable they are. People love walking on beaches, and our species is selfish enough that a great many individuals can’t look at any issue beyond their own personal gratification. In this case, what was weighed against personal fun was the continued existence of a threatened species. Most people cooperated really well with the docents, some so thrilled to get such good looks at adorable birds that they became docents themselves. 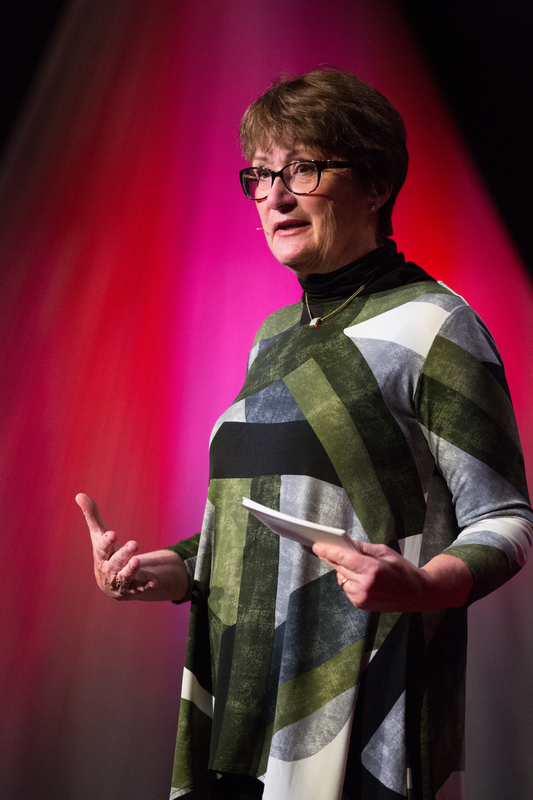 Not everyone was good-natured about it—one was quoted saying she’d walked her dogs along the beach without leashes for 30 years and was not about to stop—but regulations, enforcement, and a lot of good-will generated by the docents have made this an extraordinarily successful program that has produced hundreds of new Snowy Plovers. With regard to beachgoers, the Coal Oil Point Reserve program has been a model of success, but protection of the plovers in other places along the California coastline hasn’t been as successful. 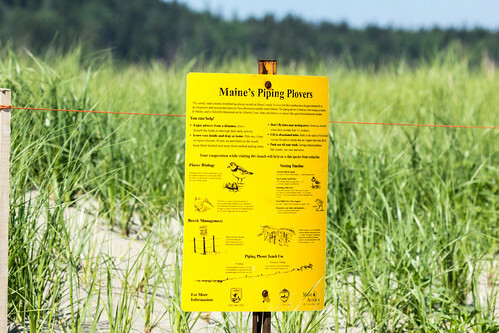 Many beaches are open to automobile and off-road traffic, and new restrictions—even very localized, limited ones—to protect plovers have been met with some anger and belligerence, just as protections to protect Piping Plovers along the Atlantic coast have been in some areas. 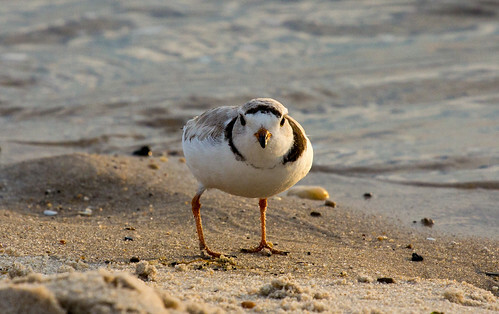 One Atlantic coast place where people have been cooperative in protecting Piping Plovers has been Delaware’s Cape Henlopen State Park. The plovers use limited parts of the beach, and other beaches there are completely open. 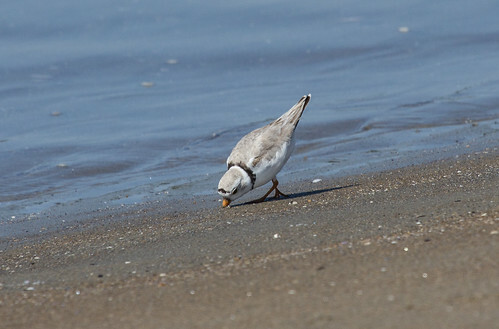 Piping Plover feeding at Cape Henlopen State Park in May 2013. I visited a plover nesting area there during my Conservation Big Year. We were allowed on a tiny part of the beach at the point, and because people have been honoring the restrictions, it was easy to see and photograph the plovers simply by staying out of the roped off areas. The closest plover looked at me occasionally, but never ran or flew away, and continued to feed during the entire time I was there. 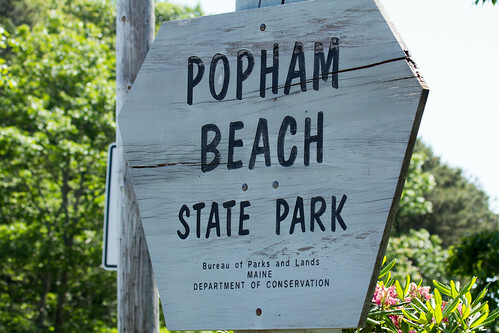 That also happened in Maine at the very popular Popham Beach State Park. 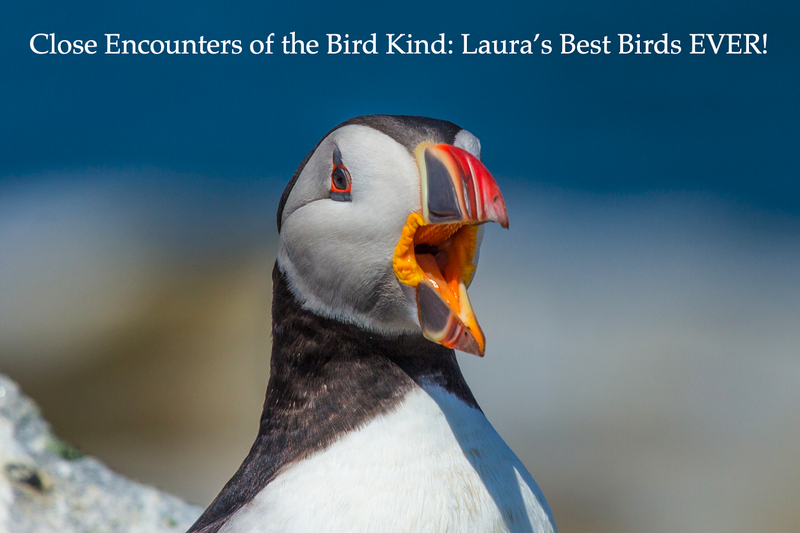 I went there twice during my Big Year—it was amazing to me how easy it was to observe Piping Plovers and Least Terns when I faced one way, and over a hundred beachgoers when I faced the other way, right from the public bath and changing rooms. Thanks to clever crowd management, people were sort of automatically led to the public part of the beach, and I saw absolutely no foot prints on the protected side of the roped off area. People were allowed to walk along the beach, even below the nesting area as long as they stayed below the high tide mark, but no one was there while I observed, and the plovers and terns seemed completely relaxed, as if they’ve learned the patterns of human activity there. I had a wonderful time taking photos of them eating, preening, and loafing. 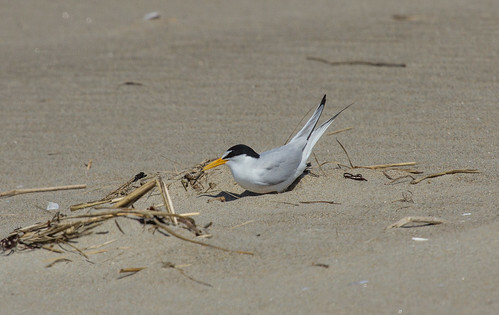 Least Tern digging a scrape for nesting at Popham Beach State Park. 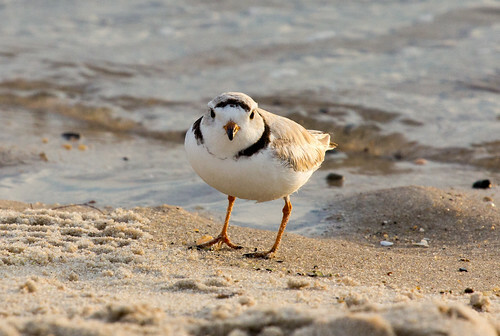 Protecting beaches helps both plovers and terns. So people and plovers can share beaches. The most essential requirement is for people to know that plovers exist, and to recognize their value as fellow travelers on this increasingly crowded planet. Outdoor and environmental education programs are squeezed out of most school curricula nowadays. So it’s up to those of us who are aware of these lovely birds to draw other people into that awareness. 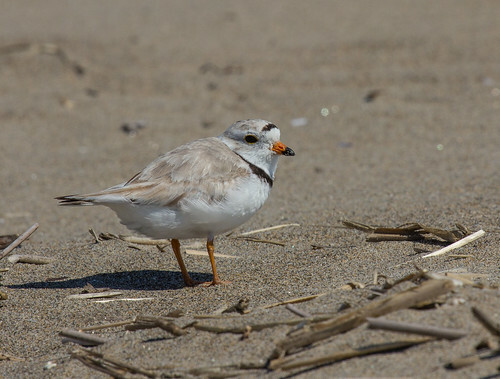 This year, two Piping Plovers were spotted on the Park Point beach near the airport in May. A wonderful campaign by the St. Louis River Alliance sent the alert out, and volunteers worked with dog walkers to minimize traffic along the beach, but as it turns out, the birds were probably both males, and they disappeared. I happen to belong to three of the groups that most threaten nesting plovers—I have a dog, I'm a birder, and I'm a bird photographer. 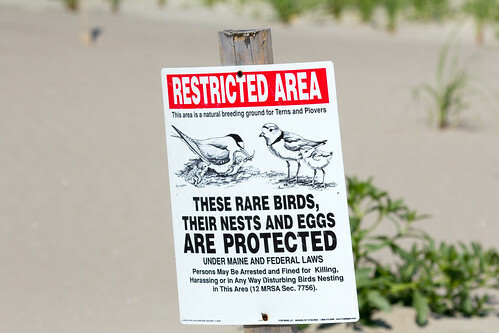 I went to the beach twice during the time areas were roped off in case the plovers decided to nest. All the dog walkers I saw were keeping their dogs out of the roped-off area while I visited. Dogs are required to be on 6-foot or shorter leashes on all public property in Duluth—a rule consistently violated by many dog walkers on Park Point—but at least during the time we were trying to protect plovers, I didn't see any loose OR leashed dogs in the protected area. Erik Bruhnke and I were birding with my dog Pip at Park Point when the signs were up. 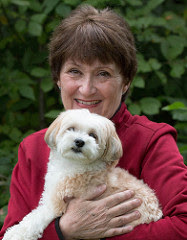 Pip was on a short leash on the boardwalk, and when we reached the beach, she went into my shoulder bag. She got plenty of exercise in many of the places we went to that day. Why risk scaring off even the most common shorebirds, which were feeding and resting during their long, long journey. Embarrassingly, the people I did see walking along the beach in the roped off section were birders with scopes and cameras. 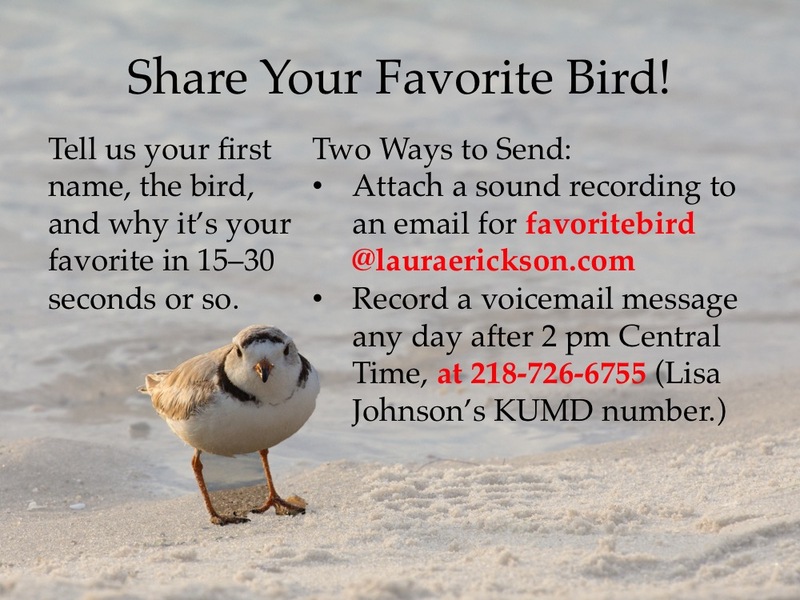 This year plovers won't be breeding in Duluth. There may still be some hope on the Wisconsin Point side. Sand beaches are rare on Lake Superior, and so it’s understandable why people gravitate to them. But we have choices in where we play, while the tiny, vulnerable plovers have no choice at all in what habitat they need for raising their young. I sure hope we can discipline ourselves to set aside a little bit of beach for them where no one—not dog walkers and especially not birders who should know better—can bother these precious birds. It takes a village to protect a plover. This news story from 2011 provides a great overview of the Santa Barbara and other California plover programs, including their successes and challenges.